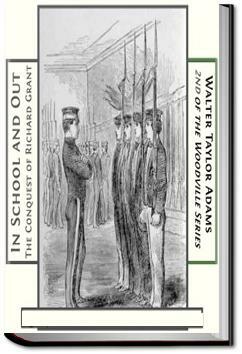 The second volume of the Woodville Stories contains the experience of Richard Grant, "in school and out." We are sorry to say that Richard had become a bad boy, and was in the habit of getting into the most abominable scrapes, some of which are detailed in the first chapters of this book. But he is not what is sometimes called a vicious boy, for he has many good qualities, which redeem him from absolute condemnation. There is something noble in his character, which is the germ of his ultimate salvation from the sins which so easily beset him. The third book in the Woodville series is Watch and Wait; The Young Fugitives. . . .When this important work was accomplished, the party retired. Mr. Presby was a philosopher, and his library had not been a merely ornamental appendage of his house. He had read a great deal, and thought a great deal; and mesmerism, biology, psychology, somnambulism, and kindred subjects, had each in its turn been considered, and a conclusion reached. Mr. Presby, therefore, was not disposed to return to his bed when the excitement had subsided. So splendid an illustration of the phenomenon of sleepwalking was enough to kindle his enthusiasm. He tried to draw uncle Obed into a discussion on the topic, but the latter was too sleepy. Mr. Grant made a home question of the matter, and did not care to indulge in any philosophical inquiries. One after another the family retired, till the old gentleman was left alone, and then, in despair, he resorted to the "authorities" as he termed his books, and read till the inmates of the hennery began to sound the morning call.